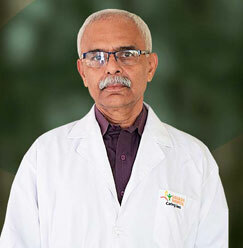 Dr. Suresh Kalyansundar is designated as an Associate Professor at Sharda Hospital. 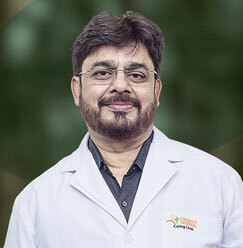 He has been a part of Sharda Hospital since the year 2012. 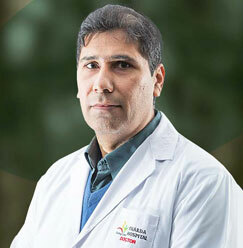 With a keen interest in surgical Oncology and surgical gastro-enology, he has been serving the medical industry for 34 years. After completing his specialization in Oncology from LLRM Medical College, Meerut, Dr. Kalyansundar underwent advanced training at AFMC, Pune and fellowship at International Association of gastro-endoscopic surgeons. He has worked for Army Medical Corps – Indian Armed forces and has marked his presence in various prestigious hospitals and institutions.